Sid Meier’s Railroads is a very fun game. Now that we have over 80 custom maps I dare say that SMR is more fun now than it was when first released. If you have not played SMR yet then you should give it a try. 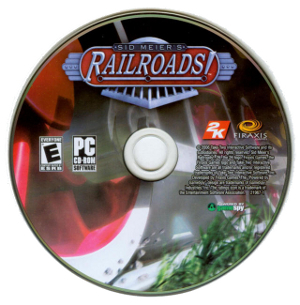 Sid Meier’s Railroads is also a perfect gift for children, grand-children, friends, or relatives. SMR’s system requirements are low enough that almost any computer nowadays can run it. SMR’s gameplay is simple enough for children yet leaves room for optimization and challenges to keep us adults entertained. It is the type of game I wish 10 year old me could have played. You can buy a boxed copy of sid meier’s railroad from amazon. Some users that encountered problems with smr said that switching to a physical copy fixed their problems. A boxed version of Sid Meier’s Rairoads! also makes a great gift. If you use the links above to buy SMR then smrsimple will receive a small amount of money to cover hosting costs. This will not cost you anything extra.